Marie Bilik doesn't like to be called a "lobbyist", but according to the annual tax return (IRS Form 990) her group files with the IRS, they told the IRS that they were a lobby organization. It is right there, plain as day, in black and white on the group's tax return. Did her organization lie to the IRS or is she trying to mislead people now? Bilik told the Herald or led them to believe that she is only "working in Virginia, though maintaining her residency in Green (township)." Aside from it being a 250 mile, 4 1/2 hour commute, each way -- a few months ago when she wasn't running for office in New Jersey she was happy to tell anyone who asked that she lived in Virginia. That's right, here is a Facebook post she did herself saying exactly that. Which begs the questions. 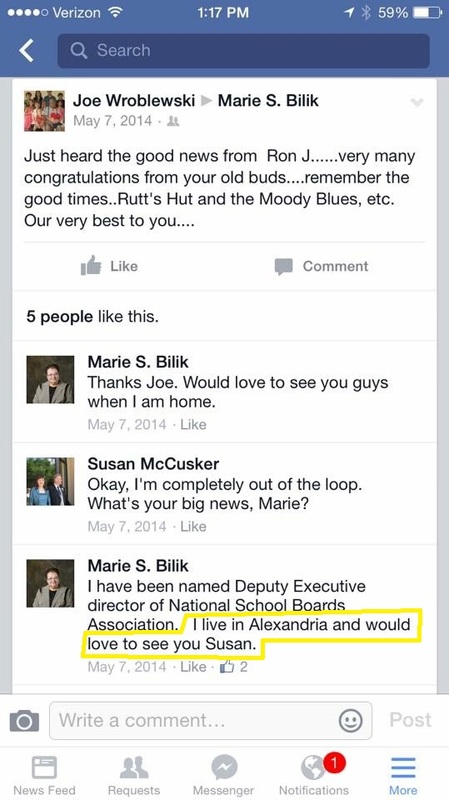 . . Did Marie Bilik lie to her friend then? Or would she lie now so that voters don't know she wants to get elected to represent them without living in the same community they do?